Our 'Dad's Fart Fodder' Christmas card is the perfect way to send your love to your trumpy Dad this Christmas. 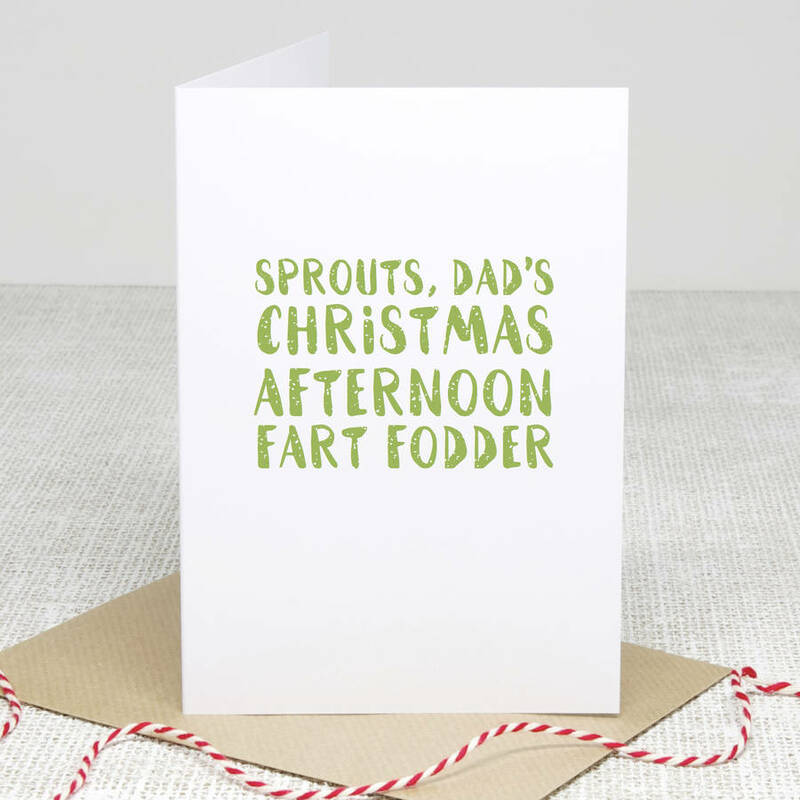 Designed and handmade by Slice of Pie Designs, this funny festive card is perfect for Dads who love a good plateful of sprouts with their Christmas dinner. 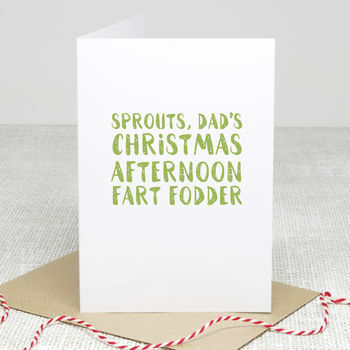 It reads "Sprouts, Dad's Christmas afternoon fart fodder" printed in a lovely sprouty green. We use matt bright white 300gsm card and supply our cards with a recycled brown envelope. The card and envelope are packaged in a clear poly bag to keep them safe and clean.